This might just jazz up your old faithful green curry. 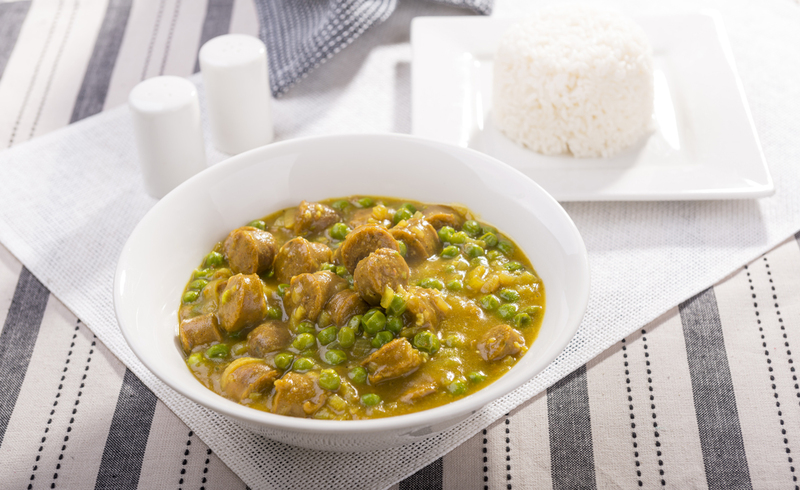 Use veggies you would normally add to your standard Thai green curry to create Thai Green Curry Chicken Sausages. Serve over steamed rice or rice noodles. It works equally well with mashed potatoes and peas. Make the curry a few hours before to allow the flavours to develop. It will also come in handy if you cooked it as a meal ahead. Just allow to cool, place it in the fridge, then reheat it on a weeknight for an easy dinner. Heat half the oil in a large, heavy based flame proof casserole dish or cast-iron pot over a medium heat and brown the sausages for around 6 minutes turning them gently half way through. Remove to a plate. Cool, then slice diagonally into 3 cm pieces. Add the remainder of the oil to the pot and turn the heat up to high. Add minced onions, spring onions and coriander roots. Cook for about 2-3 minutes on high with a pinch of salt, then lower the heat to medium and cook until caramelised. 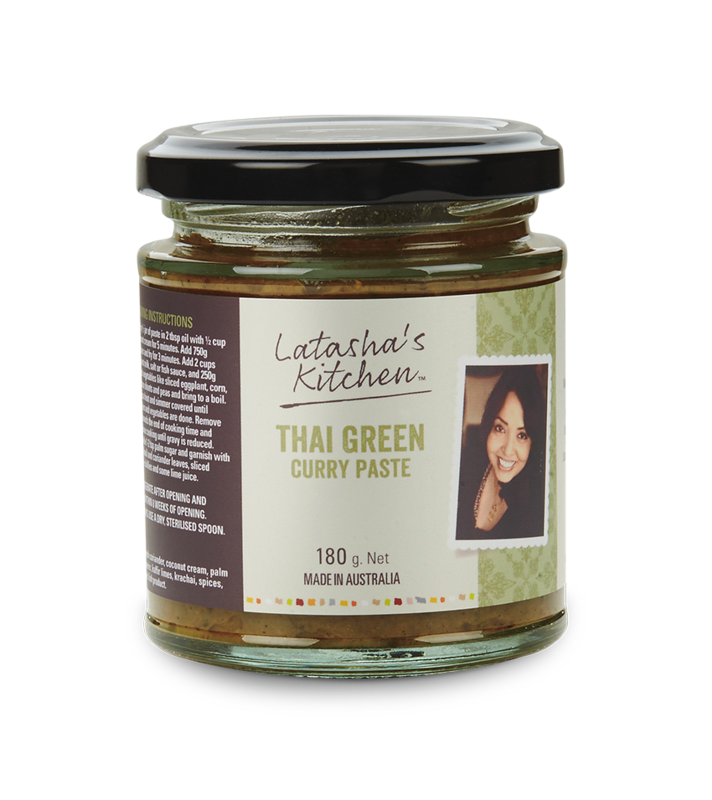 Next add Latasha’s Kitchen Thai Green Curry Paste, a sprinkle of water and cook for 5 minutes more on high. Then add in the celery, eggplant, potato, peas and green chillies. Mix well, cook for 5 minutes on high. Pour in the coconut milk, cream, water or stock. Bring to a boil, then add sliced sausages back in and allow to simmer 15 -20 minutes. Then add palm sugar, fish sauce and lime juice. Garnish with coriander leaves, basil leaves and fried shallots then serve over steamed rice or rice noodles.